This popular course for is for beginners and existing therapists who wish to add on gel polish to their services. 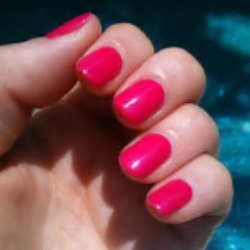 You will gain the information and knowledge to apply gel polish professionally. Soak off Gel Polish has taking the industry by storm and is an essential treatment to offer your clients. Soak off Gel polish looks glossy and can last up to two weeks with no chipping, that is why clients are buying the service. Gel polish can be applied to fingers and or toes, so after this training courses you could do either. No model is needed for the day on group training days as students are required to work on each other. A model is required for One to One training. You can supply your own or we can also help with this. Certificate will be issued on the day if the student successfully passes a practical assessment. You will be issued with a Diploma in Gel Polish and the course is fully insurable to be able to start off your career in this exciting industry! The course is suitable for complete beginners or therapists wanted to refresh their skills. The full address of the course will be confirmed once you are booked on.